People looking to become homeowners are often faced with the same old question: buy a new home, build a new home or buy an existing home? For most people, building a new home can be quite a challenge. First, the person must locate the right property. Then they will need to talk with a local contractor and review multiple home plans in order to choose the right structure for their needs. Finally, they will need to get the construction loan from a bank. 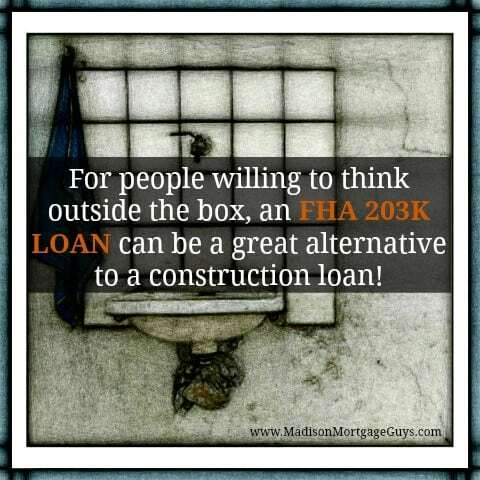 For people willing to think outside the box, an FHA 203K loan can be a great alternative to this scenario. With the FHA 203k home the buyers can buy an existing home as it sits. This works great for people that find a home in a great location but the home needs some work. Foreclosures and abandoned homes are good examples of common homes bought with an FHA 203k mortgage. Most home buyers are comfortable with items such as new paint or adding some window blinds. If in-depth work is needed, buyers can work with a reputable contractor to handle major renovations. 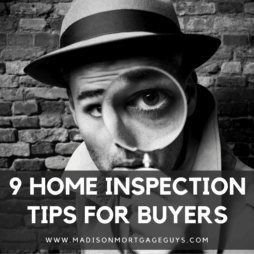 If the buyer is relatively certain that they will be making an overhaul to the property it is a good idea to contact a local contractor before starting the loan process. The contractor can review the home and discuss the changes and upgrades the buyers wish to make to the home. Then, the contractor can write up an estimate for the work. This estimate is provided to the mortgage lender. The lender then completes the mortgage as one loan, rolling the purchase price and the contractor’s work in to one mortgage. 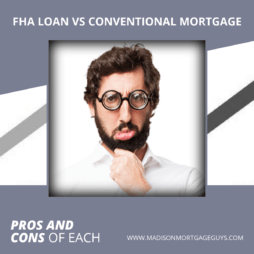 Since this program uses the FHA guidelines for lending, this type of mortgage appeals to a lot of buyers. The credit requirements are a bit more flexible, the down payment requirement is only 3.5%* of the home’s sale price and the rates are wonderful. In fact, the buyer can even receive gift funds from relatives to use as the down payment. This makes it possible for a person to buy a home, totally renovate and move in with only one, low rate mortgage without the need to pay anything down from their own funds. The FHA 203k does have a few rules about items that are allowed as well as things that cannot be financed. However, for the most part, the loan is quite flexible. In fact, it is even possible to add-on to an existing property or even demolish the home and leave only the foundation standing. The majority of items that are not allowed are considered luxury purchases, such as adding a hot tub or Jacuzzi. If you have heavily considered building a new home on a piece of available property then you may want to consider the FHA 203k loan. 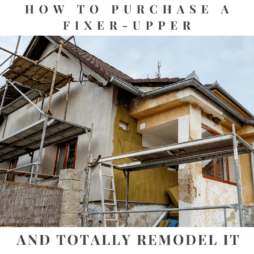 It is possible that you could find an inexpensive fixer-upper and recreate it as your dream home with the right financing. Contact us below or apply online to see if you qualify for an FHA 203k Rehab Mortgage in Wisconsin, Illinois, Minnesota or Florida!